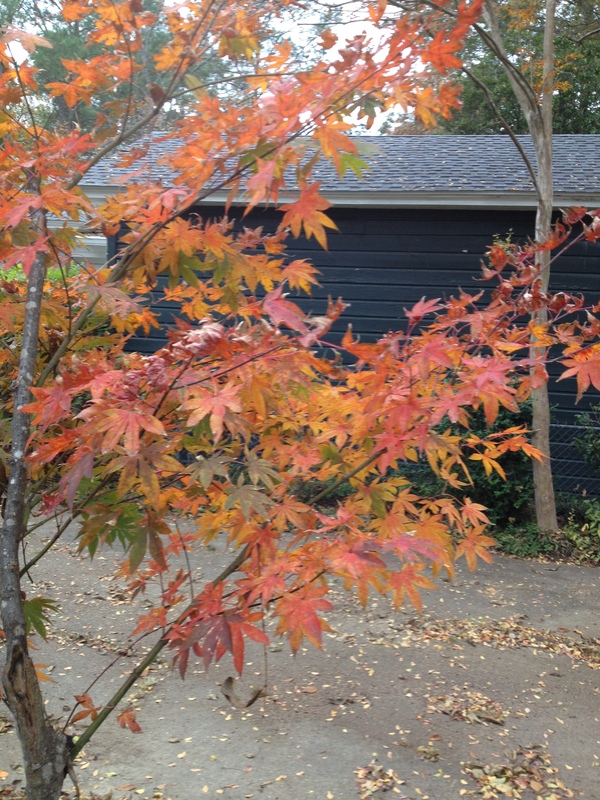 The Japanese maple is turning colors. 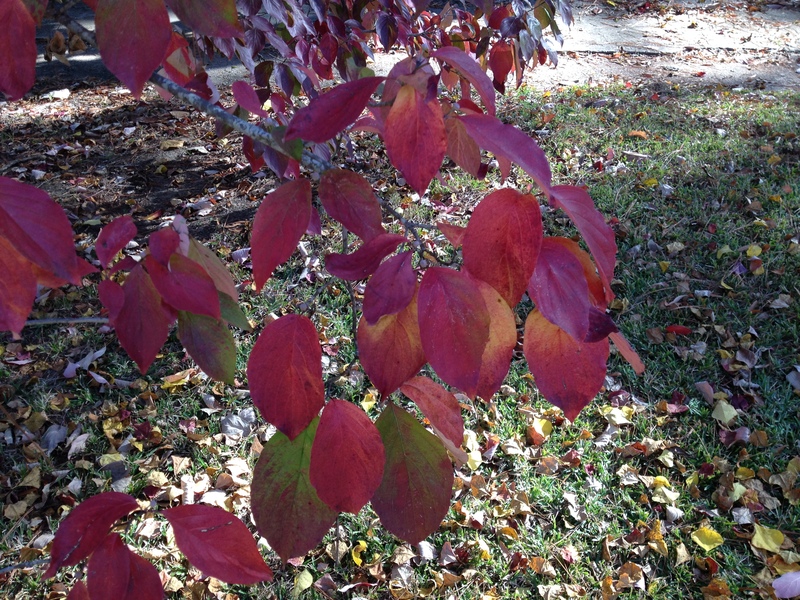 The dogwoods are changing, too. 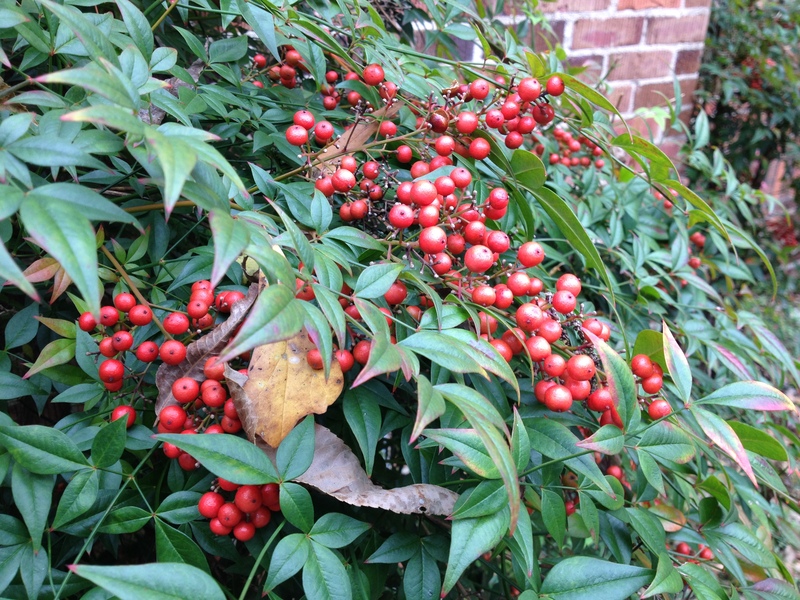 The nandinas have their red berries now. 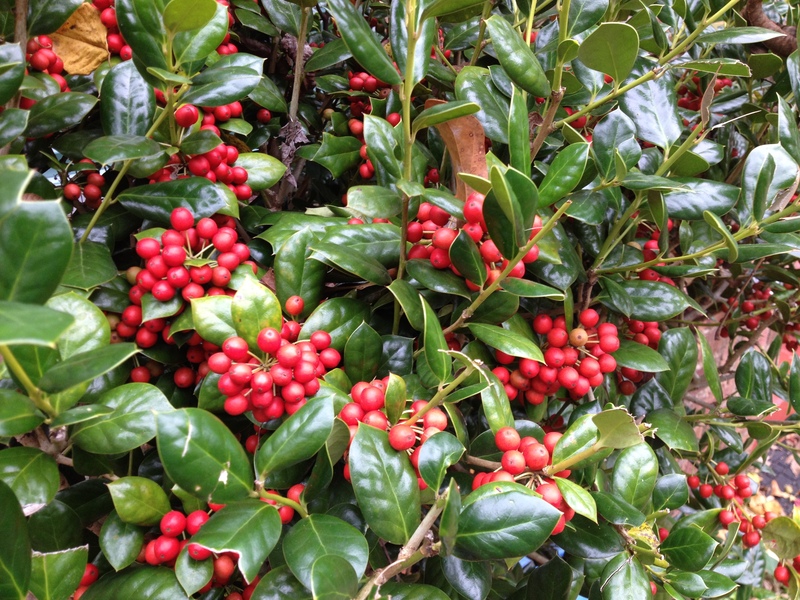 The hollies have their red berries, as well. 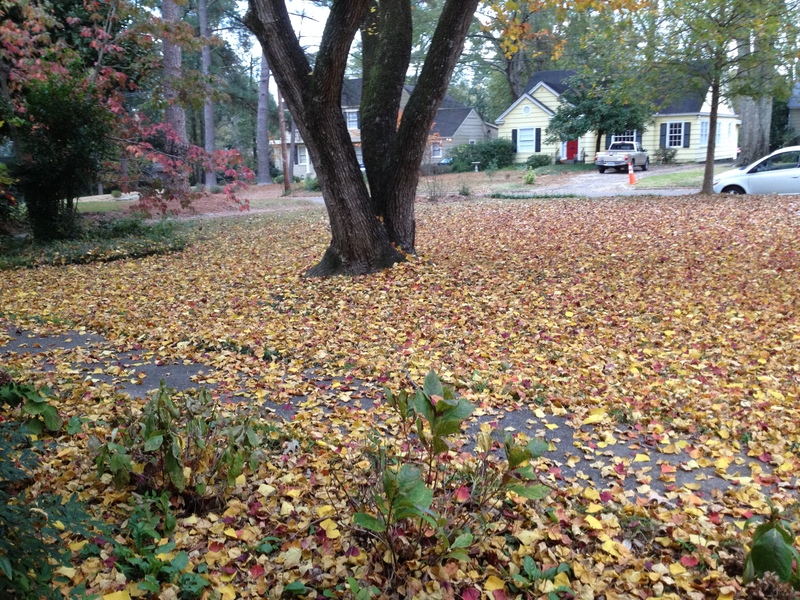 The leaves have all fallen from the popcorn tree. 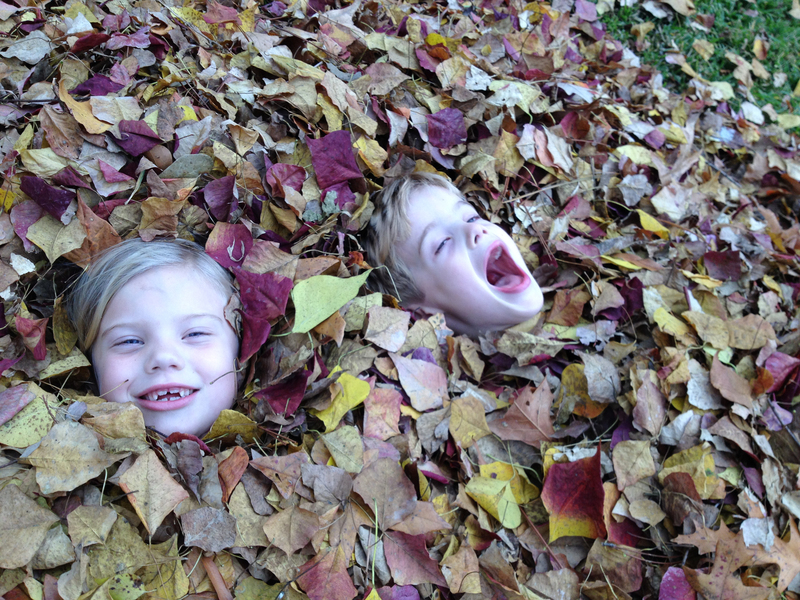 And what’s more fun to play in than a pile of leaves?